It’s not a battle for likes, but Kylie Jenner did just break a record previously held by Beyoncé for most likes on a single Instagram post. KJ’s photo announcing the name of her newborn baby girl (Stormi! Don’t laugh, it’s rude!) has amassed more than 15 million likes on the platform. 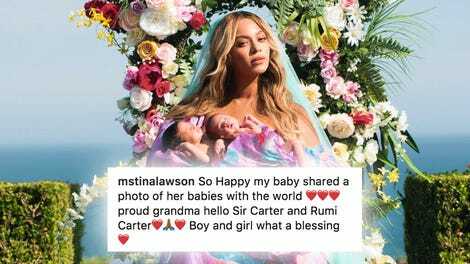 Before Kylie hit that milestone, Beyoncé’s photo announcing her pregnancy with twins (remember that blissful time?) broke the record for most likes on an Instagram post with 11 million. People really like (celebrity) babies! All things in life come in phases, and indeed, before Beyoncé’s earth-shattering revelation, the record for most likes on an Instagram was set by Selena Gomez smizing with a Coke. One day, Kylie’s record will be overtaken by another famous person with a baby, or some really great product placement, perhaps at the hand of Taylor Swift or supermodel Gigi Hadid. Enjoy it while it lasts, Kylie! And congrats on the baby! Oh, and if you don’t know about Ky’s baby daddy, it’s rapper Travis Scott. Learn all about him here.